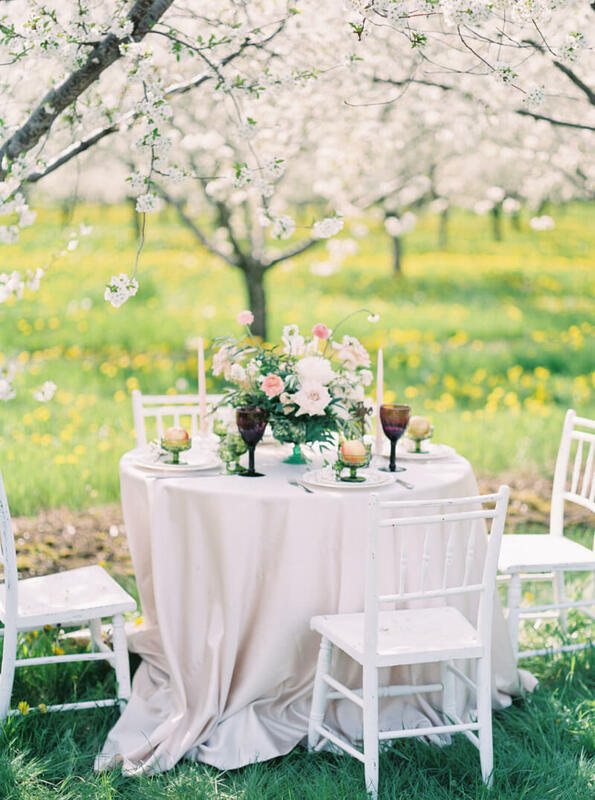 This styled shoot from Ontario capitalizes on the brief but impactful life of cherry blossoms. Their delicate petals and graceful colors usher in the spring with a rapid appearance that one must quickly enjoy their blossoms before they disappear. With cherry blossoms as its muse, this design incorporates the gentle colors of spring with a romantic, outdoor experience that captivates and captures the essence of the countryside. An invitation suite fit to mirror nature’s color palette for cherry blossoms combines both a cheerful pink and classic white, with the delicate inclusion of the bloom in its design. 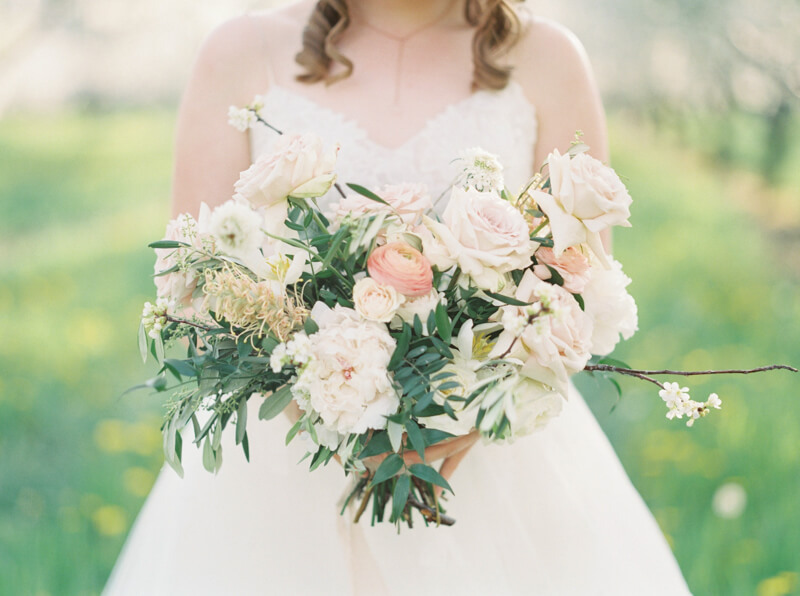 A loose bouquet filled with shades of pink, peach and white are gathered for an arrangement that echoes the environment. The bride wears her hair down in tight ringlets with soft, natural makeup. 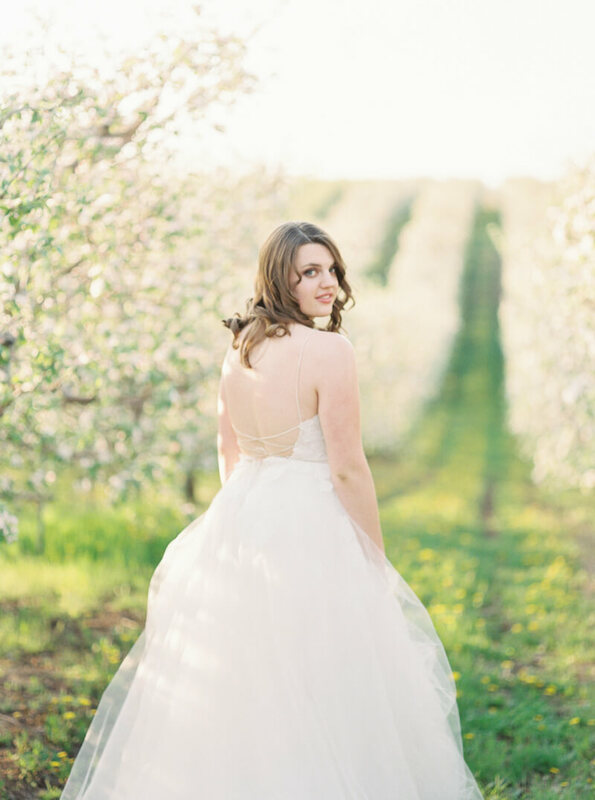 She roams the orchards in a dramatic tulle ball gown, complete with a lace bodice and open back. 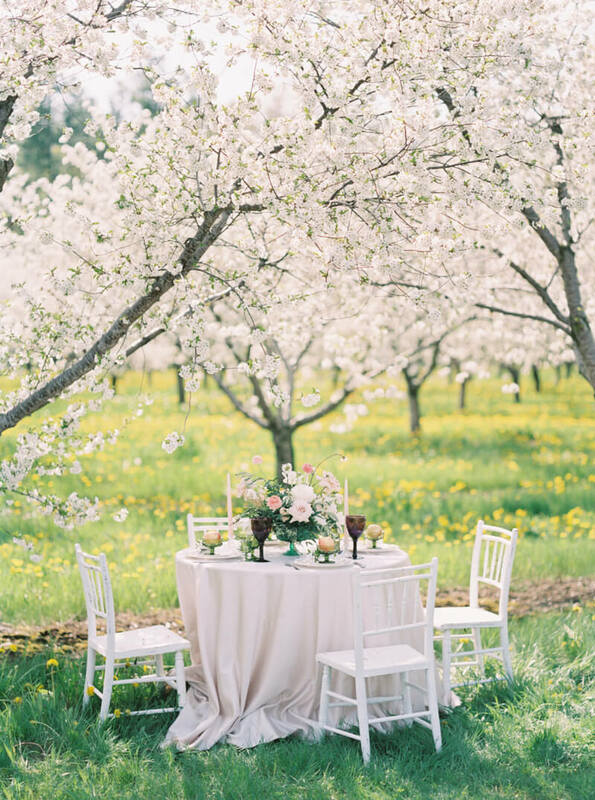 Under the cherry blossom trees sits a darling table, complete with white chivari chairs and light pink linen. The designers focus on a more dynamic design for the tablescape to really celebrate the countryside and nearby farming community. 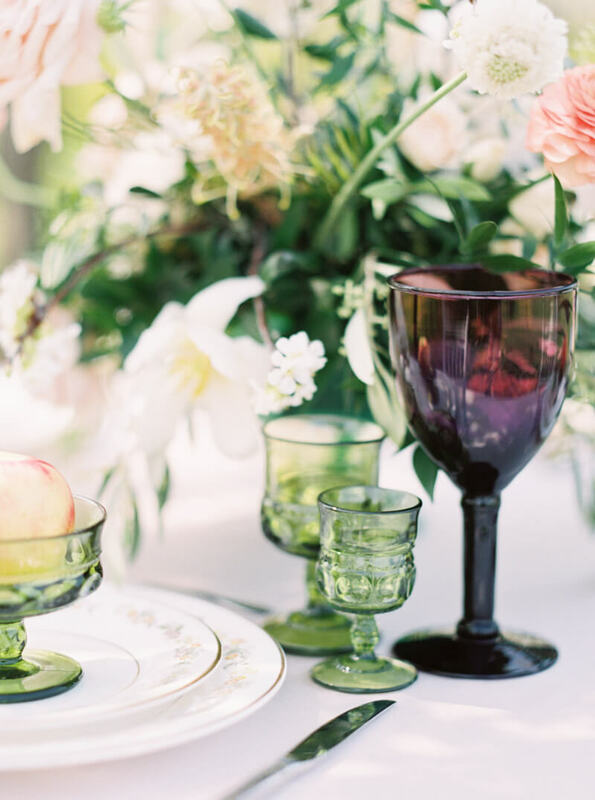 Vintage goblets in rich colors sit alongside dainty china and a floral centerpiece. And each place setting includes a gorgeous apple nestled in a vintage green dessert bowl that pops against the graceful china and table linen. 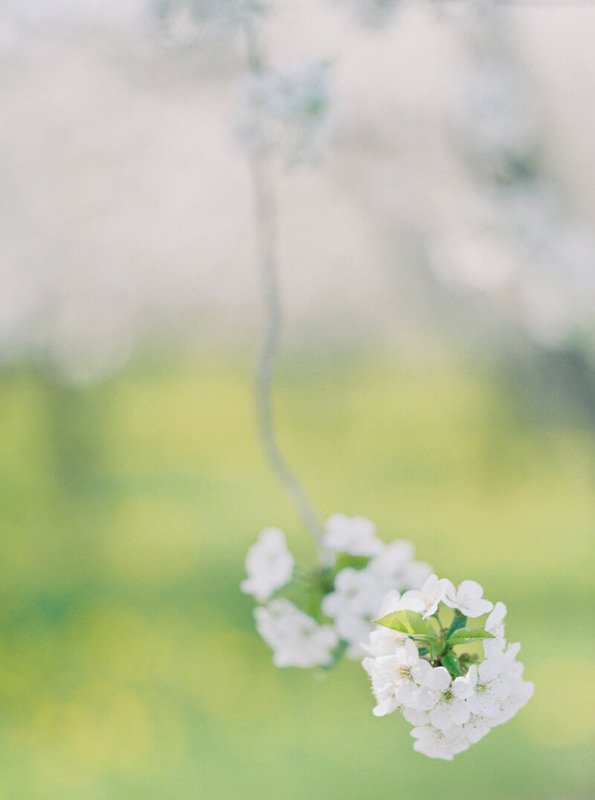 Blooms abound as the bride explores the orchard. Like arms reaching up to the sky, the moment is just right as the cherry blossoms are at their peak in Ontario. 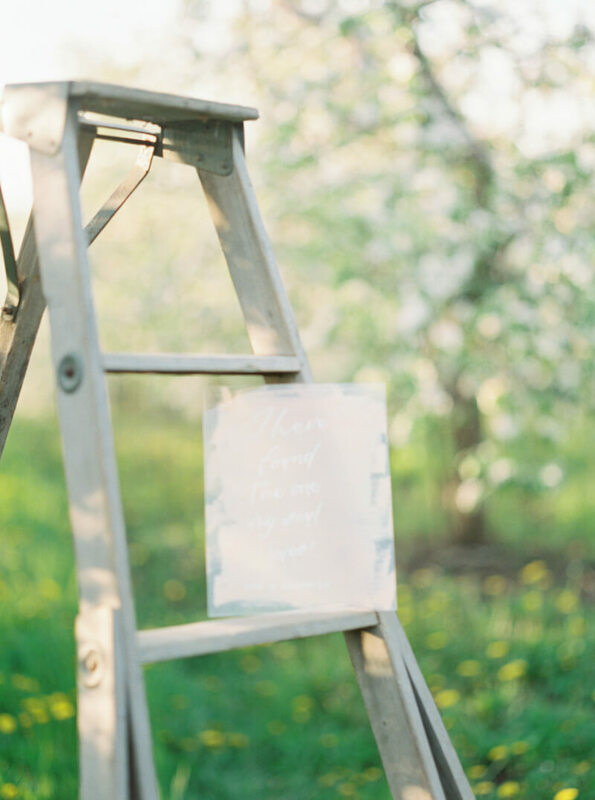 A cherry blossom-inspired styled shoot does more than just inspire our wedding dreams; it encourages us to take a breath, stop and admire our surroundings without hesitation. Some of the greatest inspirations come from nature, where even a simple color, petal or leaf can add beauty. 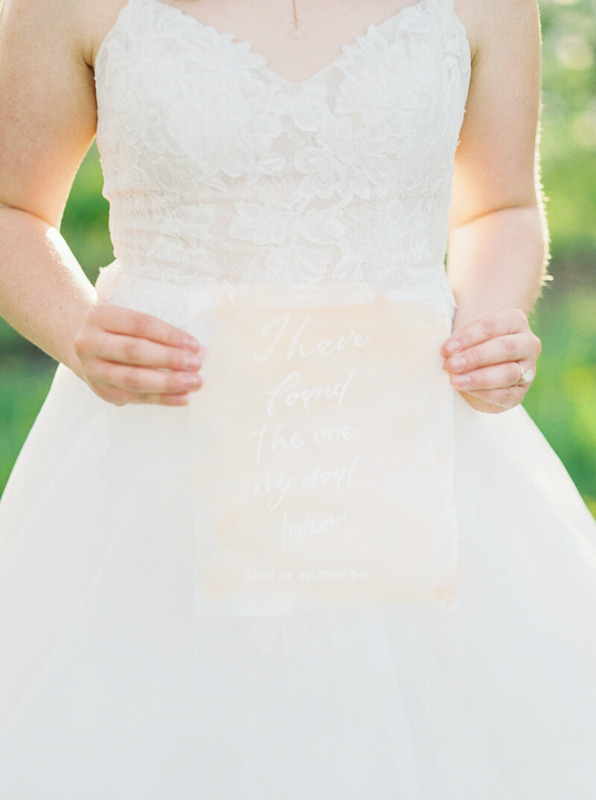 If you’re clamoring for something new and fresh for your special day, start with a step outside.